Is that FAT?. . HD Wallpaper and background images in the 刺猬索尼克 club tagged: photo. It looks like fat but Big Red Botten said that it isn't fat. And don't you mean "What do you think?" in stead of "What of you think?"? "What of you think" is the same as "what do you think" and sounds the same too (by the way) you just spell "button" wrong. Your make no sense, and I write words wrong, we are even. You don't even know english correctly. Dude, can you stop correcting people Mr.Perfect. I see you do that everywhere. You could hurt others feelings or drive people crazy. Is not like your job unless you get paid. Did you ever misspelled words before? Be honest,Please. Honestly I do and I don't care sometimes. All the time you tell people to correct words. I know you trying to help them,but when I see you do it a lot, it makes me feel your trying to be demanding. Think about it. Plus you don't have to make anyone correct themselves,they can do whatever they want. If a person write sentences correctly and misspelled some words,that's OK. You pushing too much for people to be perfect. It's not like you should correct people like were writing an essay. I see what your saying @Teamstrong202. The artist drew the characters belly round. Is for some other characters too,if you noticed. 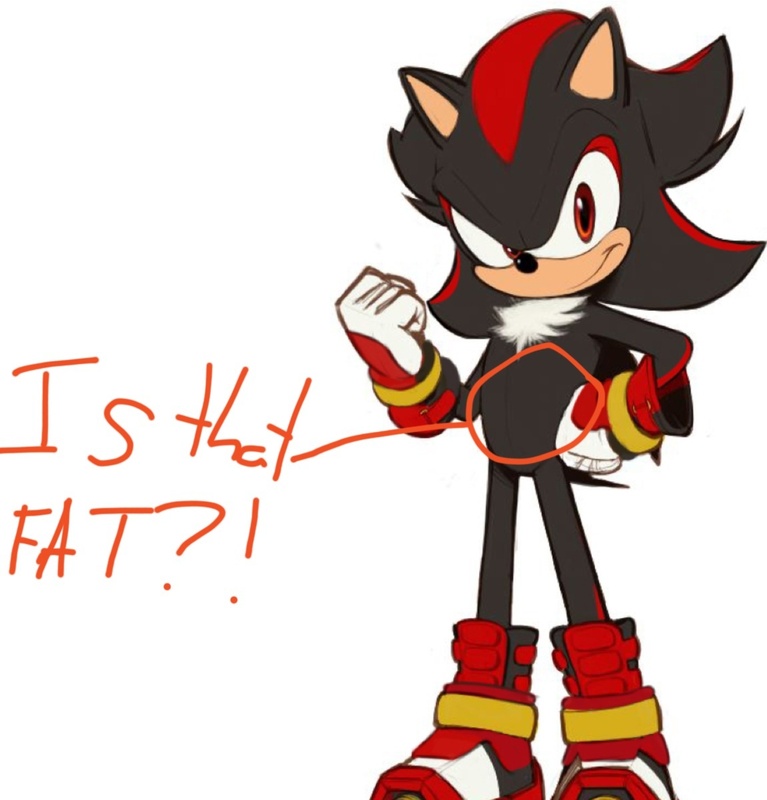 Alright than i will but if the sonic fans keep saying that sonic is better than shadow than I will understand?